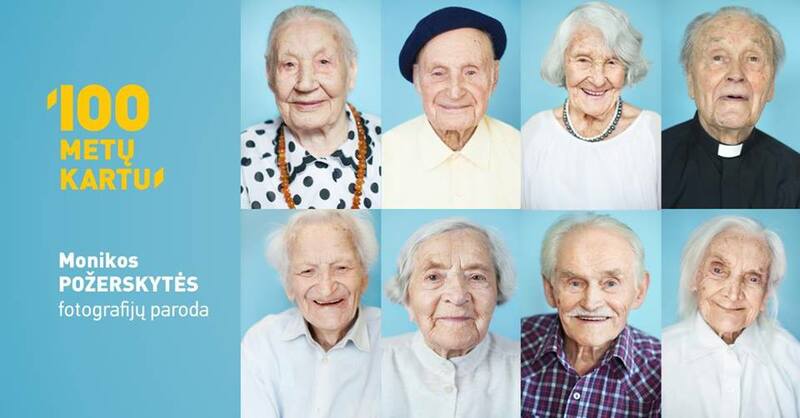 Monika Požerskytė’s exhibition “100 Years Together” is a photograhic portrait of Lithuanian centenarians who were the youngest citizens of Restored Independent Lithuania. The stories written on their faces, in their eyes and beneath their wrinkles, the experiences of their long lives, their deep wounds and secrets, reveal how major historical events in Lithuania affected the fate of its people. Exhibition runs: April 5th – May 6th.